Jubilee and Pump House Gallery, in collaboration with the Royal College of Art (RCA), present a one-day symposium examining fundamental questions raised by the gallery's current exhibition A Modest Proposal (in a Black Box) by Belgian artist duo Vermeir & Heiremans. Free event, registration required. Click here to register. A Modest Proposal (in a Black Box) investigates how current modes of financialisation can be redirected towards a more equitable model. Financialising public art collections and/or museum real estate and/or their symbolic capital, the model suggests, can create a cycle of wealth that will also benefit the original stakeholders – the artists and art workers. This can produce streams of economic and social wealth, and create sustainable conditions and futures in which art can flourish as an ecology of practices. An Initial Public Exhibition, from 3 October to 16 December 2018 in Pump House Gallery, introduces A Modest Proposal in an auspicious location. The gallery is located in Battersea Park, in a former Victorian industrial pump house which supplied water to its boating lake. Close to the park a huge real estate project is being developed, with Battersea Power Station as its most prestigious icon. 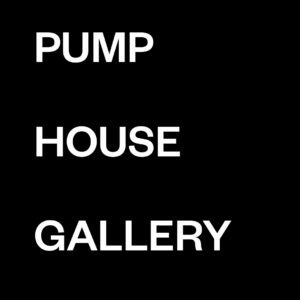 Taking Pump House Gallery as a case study, Vermeir & Heiremans decided to consider the financialisation of the gallery’s primary asset: the building itself, a Grade II listed Victorian pump house. 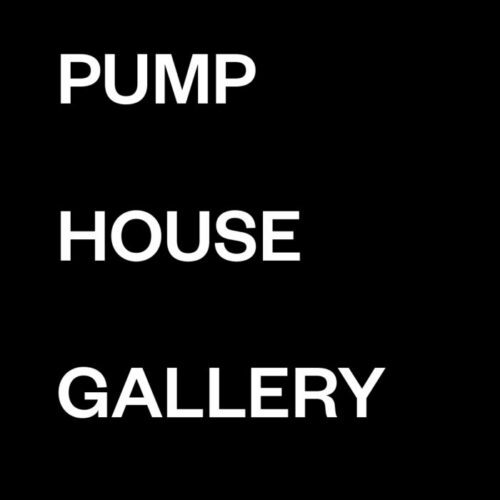 The artists question how the building can be true to its original design as a 'pump house', in this case harnessing all rising values that surround Pump House Gallery so as to become a power house for the whole art community. A Modest Proposal aims to benefit artists and art workers, but its implementation raises some fundamental questions: can values originating from public goods be claimed for the benefit of specific stakeholders, or should these funds be redistributed through a political process? Can these values be reinvested in the institutions for art and its producers, in line with the museum's goals and tasks? Or should a parliamentary debate attribute these resources, making them available for healthcare, education or even military expenses, etc. And what if 'governing' in this case means the development and promotion of certain types of financialisation that are beneficial for (foreign) elites and companies, yet pose risks or are detrimental for the wider community? In the context of their current exhibition A Modest Proposal (in a Black Box) at Pump House Gallery the artists, in collaboration with curator Ned McConnell, invited six speakers for the symposium. Working from different backgrounds, their personal research will shed a specific light on some of the most urgent issues at hand. Opening the symposium Andrea Phillips will introduce the day's programme, after which Vermeir & Heiremans will briefly elaborate on A Modest Proposal, a reference point for a debate starting from the specific fields of expertise of the invited speakers: urban geography, art, finance and law. The morning sessions will focus on the relationship between art and finance, and the contemporary role of public museums and collections given an increased tendency to 'industrialise' driven by the global race for soft power between cities. The afternoon sessions will address the influence of financialisation on urban processes and daily life. The ultimate question the symposium wishes to address is whether finance can be a useful tool to create a more equitable society. Each participant will speak for about 35 minutes, after which she/he will be joined by the moderator to go into a short Q&A (15min. ), and open up to the audience. Annelore Hofman will discuss the interlocking relationships between finance, real estate and the goverment, with a focus on the redevelopment of Battersea Power Station. She presents the Battersea Power Station case study against the background of multiple developments in the global financial and real estate sectors that have turned London into a safe deposit box for the international financial elite. These Ultra High Net Worth individuals are exemplary of the growing importance of real estate for its exchange rather than its use value in recent decades. Annelore will detail some of the financial and legal frameworks that have made this possible, Tax Increment Financing being one of them. 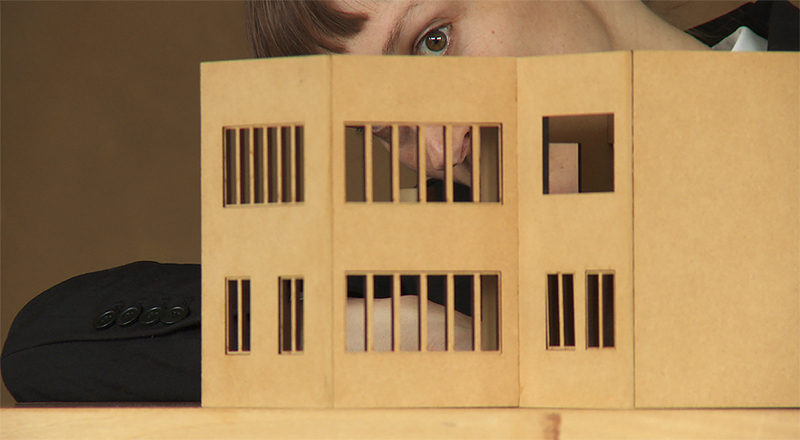 BIO Annelore Hofman’s interests are cities, real estate, public-private partnerships and urban inequality. Her PhD research in the field of financial and urban geography focused on the role of the state in property finance in the UK and the US, comparing the large-scale redevelopment projects Battersea Power Station in London and Hudson Yards in New York City. Journal articles include London and New York as a safe deposit box for the transnational wealth elite, and Spaces of Lobbying. Annelore holds a PhD in Science from KU Leuven, Master of Science in Global Transformation from Loughborough University and Master in Sociology from Ghent University. Victoria Ivanova will consider how the organisation of the contemporary art field and financialisation of art are interlinked. Referencing dynamics that are deemed to be internal to the contemporary art sphere, such as market-institutional relations, as well as those that are seen to be external, such as the relationships with urban development and geopolitical dynamics, Ivanova will propose that the contemporary art field provides an ideal setting for reformist projects, not least in relation to the future of technologically organised financialised societies. BIO Victoria Ivanova is a curator, writer and consultant living in London. Her core focus is on systemic and infrastructural conditions that shape socio-economic, political and institutional realities. To this extent, she develops innovative approaches to policy, finance and rights in the sphere of contemporary art and beyond. She is a co-founder of Izolyatsia, Real Flow and Bureau for Cultural Strategies (bux), and is currently doing a PhD with Serpentine Gallery and London South Bank University as a recipient of their Collaborative PhD Studentship. Caroline Knowles will speak about the infrastructures of wealth. With this she refers to what 'holds together the city', so infrastructure in the broadest sense, including 'bodies & wires'. With its expertise on taxes and off-shoring, London has become the ideal 'infrastructure' for a global wealthy elite that finds the city completely at its service. The narratives of the lives of rich people which she is currently researching can illustrate this. BIO Caroline Knowles writes about migration and circulations of material objects – some of the social forces constituting globalisation. She is interested in cities, having done research in London, Hong Kong, Beijing, Fuzhou, Addis Ababa, Kuwait City and Seoul. She is currently the Director of the British Academy’s Cities and Infrastructure Programme, which comprises a portfolio of 17 multi-disciplinary projects delivering, with local partners, vital improvements in infrastructure in cities in the global south. Author of many books and papers, she specialises in visual, spatial and biographical methods, often working with photographers and artists. She holds a Major Leverhulme Research Fellowship, Serious Money: a Mobile Investigation of Plutocratic London. Luke Mason will speak about the historical shift in meaning of the concept of equity within law, from equity as a principle of fairness, to equity as a stake in capital, elaborating on how equity's flexibility can be exploited in new ways. Exploring sources of value, such as labour, artistic merit, cultural significance and beauty, which are less commonly thought of in conjunction with equity in its modern sense, we can understand how and whether ‘equity’ might be put to new and original uses. Because equity as a broad category of legal thought has always leant itself to the creative use of parallel value and meaning, it offers a creative alternative to apparently staid economic and legal frameworks. BIO Luke Mason is a philosopher and academic lawyer. Much of his published work focuses on labour law and social policy, in particular the nature of working relationships and their constitution by law. Another broad focus of his work is the relationship between legal reasoning and other areas of knowledge, such as those found in science, literature and art. His work often focuses on the social function of legal forms and how these can be modified and revisited to achieve more creative uses of legal concepts. He has taught and researched at universities across Europe, including in the UK, France, Italy and Germany, and is part of numerous international research networks in his fields of interest. He is currently Associate Professor in Law at BCU, Birmingham, UK and also teaches law at the Sorbonne Law School and ICP in Paris. Louis Moreno shall use ideas and activities of the 17th Century, Englishman Nicholas Barbon, doctor, real estate developer, financial speculator, land banker, economic theorist, MP and inventor of London’s insurance market, to consider the contemporary social, sensual and psychic qualities of financialised money and digital currency. In a pamphlet called A Discourse Concerning Coining the New Money Lighter, Barbon attacked the philosopher John Locke’s arguments about the need to maintain the physical quality of gold and silver in order to ensure the ‘intrinsick value’ of money. Barbon said this was naive, the notion that value was an intrinsic quality of any metal was a fiction which served the self-interests of aristocracy. Instead, Barbon argued the source of value lay in the ability of some commodity to simultaneously express the wants of the body and the desires of the mind in the language of price. Largely forgotten, these insights from the world’s first free marketeer impressed Karl Marx so much that he repeated them verbatim in the opening pages of Capital. Considering the way the raw material of real estate absorbs the social, physical and psychic demands and stresses of urban subjects, Louis Moreno asks, when the value of money no longer requires a physical presence and social relations are underpinned by monetary processes which do not require human ‘contact’, where does the source of financial value reside? BIO Louis Moreno is a Lecturer in Visual Cultures in the Department of Visual Cultures and Centre for Research Architecture, Goldsmiths, University of London. He is also the joint programme leader of the BA History of Art and member of the curatorial collective ‘freethought’. Moreno’s research looks at the urban and architectural dimensions of financial capitalism. Emily Rosamond opens up a few avenues of exploration toward a surveillance capitalist aesthetics in her talk, by remarking on the aesthetics of reputational value, and the particularities of addressivity in surveillance-capitalist scenarios. “Surveillance capitalism”, a term coined by Shoshana Zuboff in 2015, describes a new regime of accumulation, according to which analysing and intervening in behaviour becomes directly profitable. Companies such as Google offer free services (for example, email), but use these to collect information on their users. This information – analyzed into ersatz subjectivities – is then sold on to advertisers seeking highly targeted audiences. Although etymologically, surveillance refers to ‘watching over,’ surveillance capitalism’s relationship to ‘watching’ is hardly straightforward. Information on online users may be directly operationalized (by a company’s proprietary machine-learning algorithm, seeking to infer gender from online activity, for example). However, this information – and the subjects from whom it is expropriated – is hardly ‘watched’ or ‘seen’ in the strict sense – either by machines or by human attendants. Thus, surveillance capitalism has a paradoxical relationship to watching, and to the visible. In light of these complexities, what might a theory of surveillance capitalist aesthetics look like? How might artworks and other cultural artefacts try to make sense of the (in)consequential nature of the sensible within this regime of accumulation – with its hyper-visible subjects and hyper-proprietary means for their interpretation? BIO Emily Rosamond is an artist and writer. Her research stems from an interest in how historically situated performances of self are intertwined with developments in financial and informatic infrastructures. Recent publications have appeared in the Journal of Aesthetics & Culture, Paragrana, Finance and Society, International Journal of Performance Arts and Digital Media, Moneylab Reader (Institute of Network Cultures) and Are We All Addicts Now? (Liverpool University Press). She is Lecturer in Visual Cultures and Joint Programme Leader, BA Fine Art & History of Art at Goldsmiths, University of London. Vermeir & Heiremans are in the process of developing a financial model that repurposes financial tools. It aims to create an ecology where value generated by artistic practices is distributed more sustainably amongst all stakeholders, not only benefitting investors, collectors and art institutions, but also artists, art workers, and gallery staff. A Modest Proposal (in a Black Box) presents the possibility of ‘financialising’ assets such as public art collections, but also the buildings in which public art galleries and museums are housed, and even their symbolic capital. Taking Pump House Gallery as a case study, Vermeir & Heiremans decided to consider the financialisation of the gallery’s primary asset: the building itself, a Grade II listed Victorian pump house. BIO Katleen Vermeir and Ronny Heiremans live and work in Brussels. Through their work, Vermeir & Heiremans investigate the complex relationship between art, architecture and the economy in today’s highly globalised world. Having designated their own house an art work, the artists use this ‘house as artwork’ concept as a framing device that questions the role the arts play within the ever-growing entanglement of finance, urban development and governance. Vermeir & Heiremans presented their work at 10th Istanbul Biennial (2007); Arnolfini, Bristol (2009); Nam June Paik Art Center, Korea (2010); ARGOS, Brussels (2012); Extra City Kunsthal, Antwerp (2012); 7th Shenzhen Sculpture Biennial (2012); Manifesta 9 (2012); 13th Istanbul Biennial (2013); Brugge Triennale (2015); Transmediale (2016); Rencontres Internationales Berlin & Paris (2017); The Atlantic Project, Plymouth 2018); Pump House Gallery, London (2018). Andrea Philips will moderate the symposium. BIO Andrea Phillips is a writer and cultural organiser based in London who lectures and writes on the economic and social construction of publics within contemporary art, the manipulation of forms of participation and the potential of forms of political, architectural and social reorganisation within artistic and curatorial culture. She works with many international partners to develop dialogues and debates about art's role in the configuration of uneven social landscapes. She is currently the BALTIC Professor at Northumbria University, Newcastle and the director of the BxNU research institute. Before joining Northumbria University she was Professor of Art at the Valand Academy, University of Gothenburg, and Editor-in-Chief of the PARSE journal. Prior to this, she was Professor of Fine Art in the Art Department, Goldsmiths leading PhD programmes in Art and Curating. The symposium presentations will be published in a limited edition artist publication, designed in close collaboration with Salome Schmuki. Apart from these contributions the publication will consist of the script of the film A Modest Proposal (in a Black Box), and a series of archival documents on the origins of Battersea Park, from the Wandsworth Heritage Service and the London Metropolitan Archives. Finally, the publication will also include an annotated fold-out of the three-year performance of Art House Index which will serve as a score for an music improvisation session. Sound artist Justin Bennett, who designed the soundscape for the exhibition and the film A Modest Proposal (in a Black Box), will join Cindy Castillo or Hampus Lindwall on church organ for this unique improvisation (TBC), during the presentation of the artist publication on Saturday 15 December 2018 at Pump House Gallery.